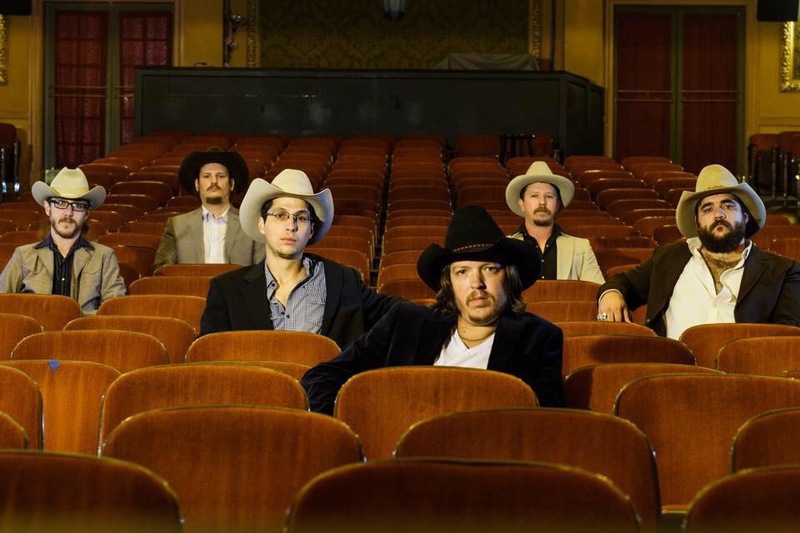 Mike and the Moonpies‘ latest album Mockingbird came out in October 2015. I’ve been to their hometown of Austin Texas a handful of times but always managed to miss them. This top-shelf alt. country, rockabilly, honky tonk band has had weekly residencies at the city’s great venues like Broken Spoke, White Horse and Hole in the Wall, all while touring Texas every weekend. This constant performing has lead to the band’s shining tautness, a crisp precision that is marvellous. And so it is with the band’s third studio release Mockingbird (the last album was 2012’s The Hard Way). Produced by frontman Mike Harmeier and longtime friend and musician Michael Kingcaid, the album features ten new original songs all written by Harmeier and performed by the Moonpies – Kyle Ponder (drums, percussion), Preston Rhone (bass), Caitlin Rutherford (guitar), Zachary Moulton (steel guitar) and John Carbone (piano, organ). Several guest performers that appeared on The Hard Way returned for this one, including Warren Hood (Lyle Lovett), Jenn Miori Hodges (Carper Family), and Pete Weiss (Leo Rondeau). Harmeier sings of the influence of his father and grandfather on the title track. “I Don’t Love You” is a slow ballad – an honest and tender song about ‘Sunday lovers’ who need to separate – to ‘cut and run’. It features a terrific duet with Carson McHone. “Never leaving Texas” is a plum honky tonk tune about the loss of a woman to L.A. and contains the defiant statement about being ‘happy here in Houston with a bottle in my hand’. “South First Blvd” is another easy-on-the-ear song, denoting the place where a shattering revelation takes place. There’s another sad weepie breakup song “One Is The Whiskey” – where there’s two reasons for staying at home – ‘one is the whiskey and the other one’s gone’. “Miserable Man” is another well-put together bar-room song, but as the album closer, I found it a little dour, I would have preferred a more up-tempo song to close proceedings. This is a minor point, however, as there’s plenty to love in Mockingbird. Harmeier’s lyrics are appealing, his voice a standout, bolstered by good arrangements and tight playing that serve the songs perfectly. Recorded at the legendary Cedar Creek Studio in Austin by John Silva (the Trishas) and mixed at Good Danny’s in Austin by Max Lorenzen, Mockingbird is an unbridled joy.